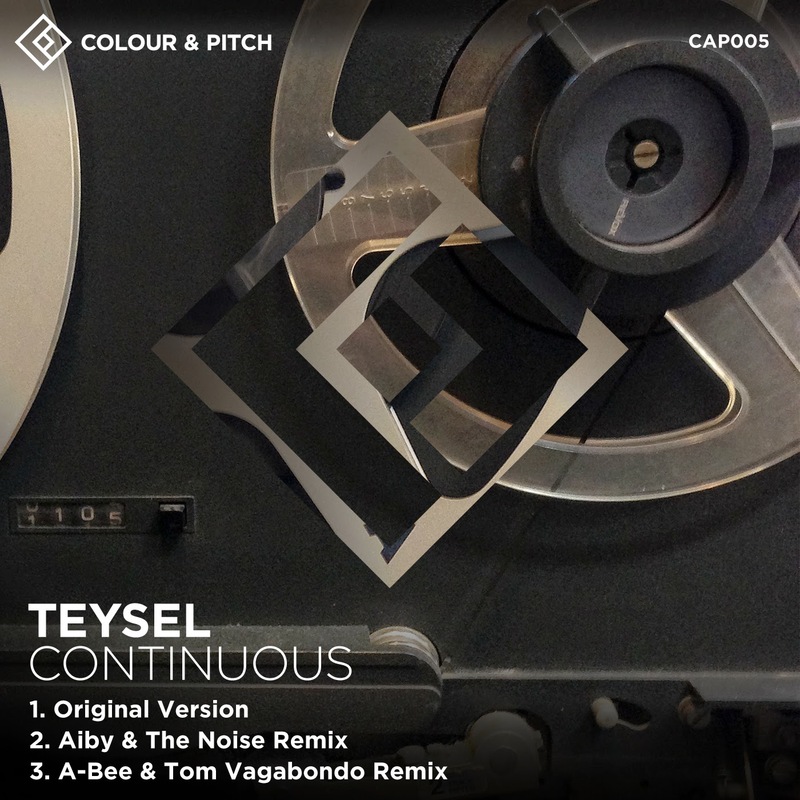 Barcelona based DJ and producer Teysel takes centre stage for C&P’s 5th release. Inspired by underground Chicago and West Coast US house music, Teysel’s traditional, precise approach to DJing is reflected in his compositions. With an EP and several remixes released on German label EUN, he is now also finding his feet as a producer. Title track ‘Continuous’ represents a slice of simple, Berlin influenced, stripped down tech house, full of dark and brooding atmospheres. Ahead of their forthcoming debut single on Colour and Pitch, Spanish production duo Aiby & The Noise make their entrance (and live up to the second half of their name) with a truly raucous remix of ‘Continuous’. Replaying the bass-line and adding some classic breaks, they transform the track into a growling behemoth; to be handled with caution!